Confronted by surfaces made slippery by chemical spillages, hydrocarbons, and adverse weather conditions, it’s little wonder that the oil and gas industry sees more than its fair share of injuries caused by slips trips and falls. 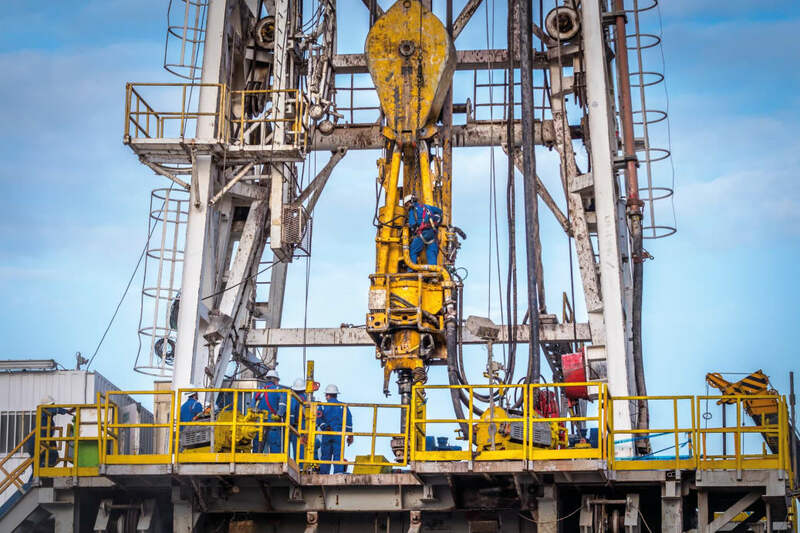 Whether they’re caused by high winds, extreme heat, sideways rain or even working at an elevated height, the oil and gas industry is no stranger to injuries caused by slips trips and falls. From working on blowout preventers and greasing motors and pulleys to simply changing light bulbs, workers perform various tasks at or above ground level. Each year, thousands of people get injured due to slip, trip and fall incidents in workplaces, and as we’ve ascertained the oil and gas industry is no exception. As a result of major incidents in oil and gas industry there has, of course, been pressure from regulators and the media regarding some companies' safety performance monitoring systems, after it transpired that some companies were placing more emphasis on personal safety indicators – such as slips, trips and falls – rather than process safety indicators. While it is the latter that is defined for the prevention of major incidents9,5,13, the importance of personal safety cannot be overlooked. It is widely accepted that slip, trip and fall incidents have caused many fatalities and injuries in workplaces6,7. 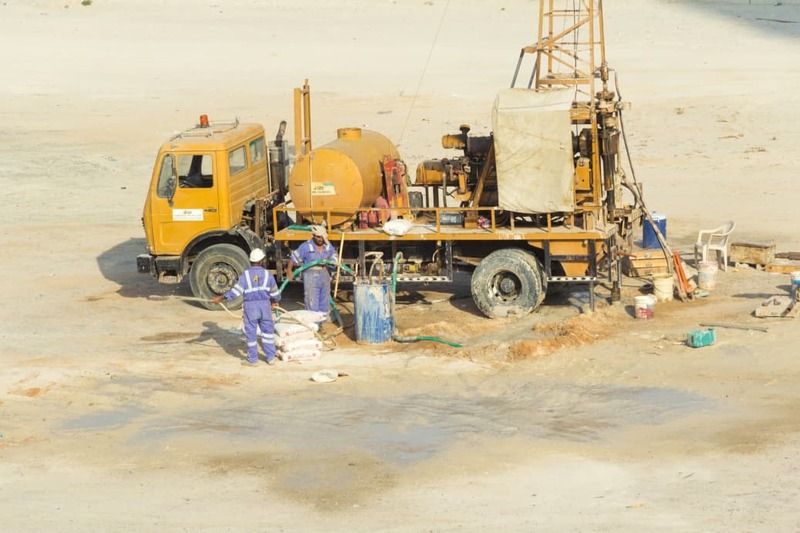 This issue takes greater significance in the oil and gas industry since the majority of oil and gas fields are located in remote areas, meaning that in the case of an incident companies have limited access to emergency services. This is not even to mention the related costs, both direct and indirect, to the company12,15. 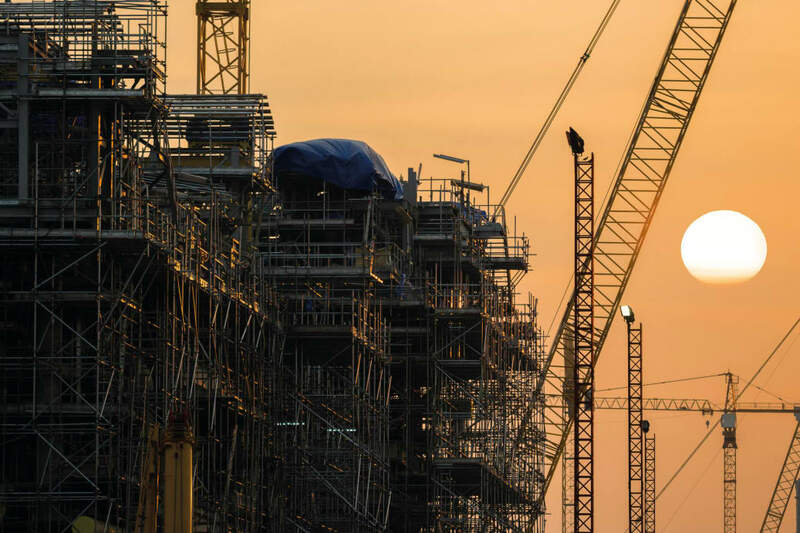 This article focuses on creating a prevention plan for oil and gas incidents and looks at how companies in the sector should approach safety to reduce not only the number of slip, trip and fall incidents, but also the related non-conformities. Slip, trip and fall incidents associated costs is remarkable and is overlooked by most organisations. According to one of the insurance brokers in UK, an average claim cost for single slip incident is £12,000 and could go up to £74,000. In addition to the initial claim cost, organisations should consider other business costs such as: loss of employee, loss of production, investigation costs, sick pay, human resource and replacement of lost employees’ costs, which have all been considered as hidden costs of an incident21. Is the traditional approach properly implemented? Is the traditional approach useful? Do we have other solutions to prevent or reduce the number of slips, trips and falls? The oil and gas industry encompasses numerous threats and it is important that these threats are not to be viewed in islolation12. To tackle slip, trip and fall incidents, organisations should go beyond traditional approaches. In fact, in order to reduce the number of slip, trip and fall incidents, a strategic framework must be provided by an organisation. No need to accentuate that in bigger organisations, the results of such a prevention strategy depend on correct design of the prevention plan, proper implementation, involvement of all employees and organisational safety culture to achieve the required results. To draw an appropriate prevention plan, the followings issues should be considered. During data gathering all variables such as age and experience of employees, process environment, and activity at the time of incident should be considered. It is clear that to extract such data a detailed incident investigation should be performed. A review of recorded incidents by the HSE indicated that the highest number of both slip, trip and fall incidents and high falls (from 2m and above) occur during drilling and maintenance activities7. Employee consultation Consultation with employees including OIM, safety representatives, maintenance staff and using structured questions based on incidents casual factors have been seen as great sources to draw an appropriate prevention strategy. In fact, a successful prevention strategy depends on accurate and up-to-date knowledge of all employees, including shop floor employees, as some information cannot be extracted from incident reports or litreature7. 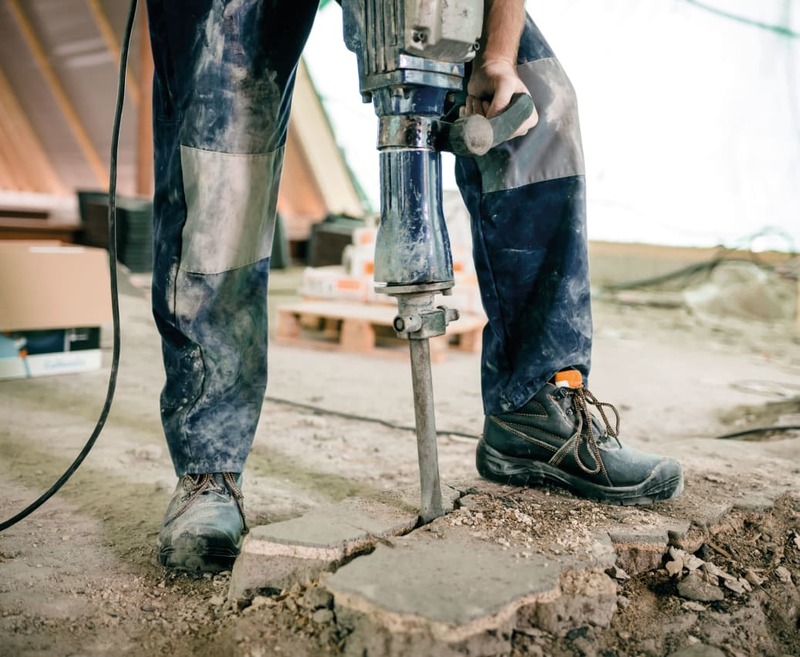 A review of the available literature indicated some successful case studies in relation to consultation with employees and reducing the number of slip, trip and fall incidents. For instance, following staff feedback about suitability of provided footwear against slip hazards, a third party company got involved to investigate the slipperiness of their footwear types and possible alternatives. The results of assessment were to get significant data about the performance of footwear in conditions where footwear had been used and remove that specific footwear from standard list if not appropriate to the task. It also assisted in identifying suitable alternative footwear10. While analysing slip, trip and fall risks and implementation of the prevention plan, hierarchy of controls should be considered. In fact, changing of the design should be one the top priorities and employee consultation plays an important factor in changing the design of equipment or workplace layout. Following numerous incidents due to slips, trips and falls on offshore installations and exposure of company surveyors to such hazards, Bureau Vertias decided to develop a guideline for design of access means on offshore installation to prevent similar incidents. The first step was to analyse the means of access on installations and involve the surveyors in the design process. The surveyors were interviewed and asked their opinions about the means of access used on installations, related occupational risks and suggestions for improvement. At the next stage, anthropometric analysis was carried out to determine the structural dimensions required for safe design of means of access. Finally, all these efforts led to the creation of a guideline for design of access means on offshore installations and vessels which ultimately would reduce the associate risks17. Site inspection and speaking with workers who routinely exposed to slip, trip and fall hazards has been seen as a valuable source of information, as they are in the best position to suggest which mitigation measures will reduce the risks in an effective manner and how such mitigation measures should be implemented7. Risk mapping is a useful tool for organisations to engage other employees to identify slip, trip and fall hazards and impalement mitigation measures. The process starts with drawing a simple rough sketch map of the working area and marking all reported slip, trip and fall incidents, including near misses in the last 12 months or any given period. At the next stage, the employees are then asked what caused the employee to slip or trip in that area. At the final stage, line managers are involved and suitable control measures are decided and implemented. While the implemented control measures are monitored, the map will be reviewed on regular basis22. One of the biggest barriers in prevention of slip, trips and falls is poor perception of management and workers, as they do not take such incidents seriously or they think that such incidents are inevitable. Changing these beliefs, therefore, is key to preventing such incidents8. In addition to this, an organisation's positive safety culture is the cornerstone to achieving the required results. In fact, it could easily be argued that, whether other efforts such as regular housekeeping, installation of slips resistance materials and proper footwear lead to prevention of incidents, depends totally on the organisation's safety culture8. Poor safety culture will have an impact on every aspect of an organisation from management and level of incident reporting to worker risk perceptions, behaviours and attitudes7. Other issues such as failure to supply suitable footwear, providing required training for employees and an ambiguous footwear policy have been seen as other orgnisational factors in relation to slip, trip and fall incidents24. Most organisations have ample resources to deal with physical hazards; however, if an organisation has done everything it can to minimise physical hazards in relation to slip, trip and fall incidents but still has a high number of incidents, then it should address human factors. Human error is one of the leading causes of workplaces incidents. Analysis of previous incidents indicated that unsafe behaviours were attributed to more than 85% of the undesired events. Human factors such as individual risk perception, attitude, training, personality, age, gender, experience and motivation are crucial elements in the prevention of slip, trip and fall incidents. Individual perceptions in relation to the risk of slips, therefore, will increase with the above variations. The majority of literature in relation to slips, trips and falls is focused on hardware and environmental issues because it provides ‘easy’ solutions to revealed non-conformities, compared to complicated human factors that bear various variation to determine the level of influence18. The literature review indicates that direct causes of slip, trip and fall incidents are well documented but lack the required underlying causes, including human factors, making it difficult to draw an appropriate prevention plan. These incidents are very complex and involve a number of risk factors, and it is necessary to apply an understanding of human factors7,19. Many slip, trip and fall incidents occur due to a person’s state of mind. When people are rushing, frustrated, tired or complacent, they tend to make errors and decisions that increase the chance of injury. These four states of mind can lead to distraction and increase risk of injury. Therefore, a tripping hazard is not enough to cause an incident on its own and requires the person to be distracted, too. On the other hand, a safety sign by itself can not prevent a slips incident, unless employees pay attention to it. Unfortunetly we cannot force people to pay attention, but organisations could help the employees by use of training to show them how their state of mind affects their safety. This type of human factors training can be integrated into organisations’ existing safety programmes and it is more than regular pre-shift tool box talks and requires continuous support from management. The literature review indicates that STRAD Energy Services company reduced their recordable injury rate by 87% via implementing human factors training and helping workers to concentrate on their tasks and prevent distraction23. Even though behavioural safety programmes have been seen as a great tool with which to deal with the issue of human factors, there are other variations such as the level of employee involvement and an organisation's safety culture that determine the effectiveness of such programmes. For example, an individual who has extra workload due to job requirements and works in an organisation where 'production concept' has priority over safety issues is more prone to be involved in slips, trips and falls regardless what type of behavioural safety programme has been used in the company. 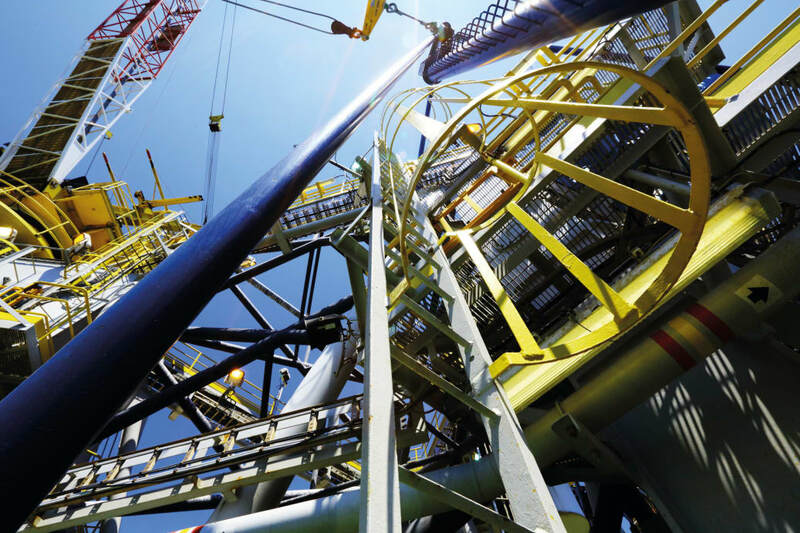 The UK’s HSE offshore oil and gas division has prepared a check list to address human factors associated with slip, trip and fall incidents in a systematic way. The check list includes all segments that are correlated with slip, trip and fall incidents in an organisation’s safety management system, such as policies, responsibilities, controls, communications, risk assessments, permit to work system, inspections and maintanances, management of change, contractor management, training and active and reactive monitoring systems. The results of assessment could help organisations to review the potential risk factors and prescribe tangible solutions11. A database that get its input from incident investigation results, site inspections, STOP or other similar system and employee feedback can lead to establishing the trends and finding the best approach to prevent slips, trips and falls7. During extracting data from incident reports, care should be given to ensure incident investigations have consistent approaches while defining contributory factors. Statistics still indicate that a large proportion of major injuries are related to slip and trip and fall incidents. Oil and gas companies should go beyond the traditional approach and should have a long term prevention strategy for reducing the number of slip, trip and fall incidents. The prevention strategy should be based on multi-disciplinary approaches and could be a combination of development of specific audit plan and database, risk mapping, human factors training, workplace inspections and employee consultation. 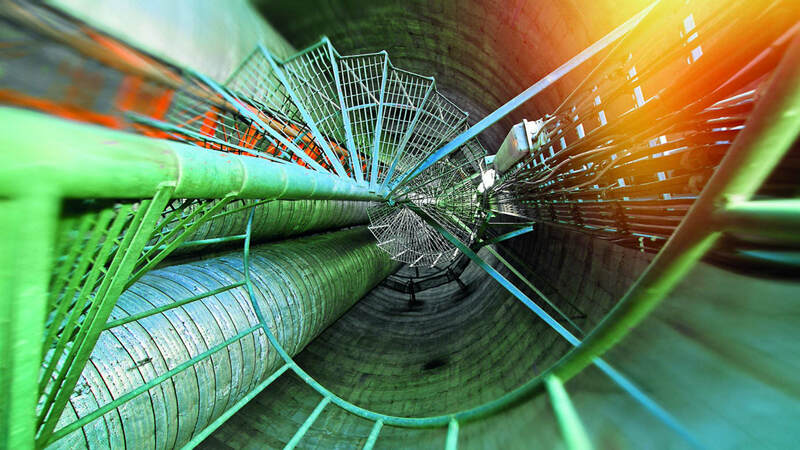 Initial data gathering is critical and detailed incident investigation and review of past incidents could assist companies in defining contributory risk factors and preparing a better slips, trips and falls prevention plan. Organisational and human factors play fundamental roles in prevention of slip, trip and fall incidents and indicate that a structured and long term plan is required for reducing the non-conformities. Shahram Vatanparast is a chartered safety and health practitioner and fellow member of IOSH with more than 16 years’ experience in the upstream sector. He has worked for major operating companies such as TOTAL, PTTEP, ENI, SINOPEC in Middle East and South Asia regions, both on the offshore and onshore fields. He is the managing director of Petro Santa Imen Avin Company, which provides a ranges of consultancy services including IOSH and British Safety Council training courses.